Oreo cookies got a lot of attention this week simply by posting a Photoshopped cookie on their Facebook page. "Made with creme colors that do not exist,"
which is the most disappointing thing I've read all week. 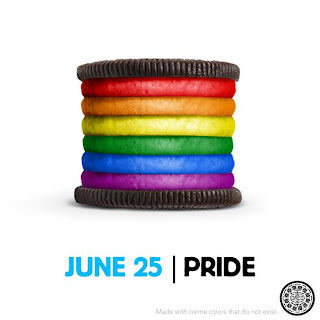 Yes, Oreos are gay-friendly. Who knew? 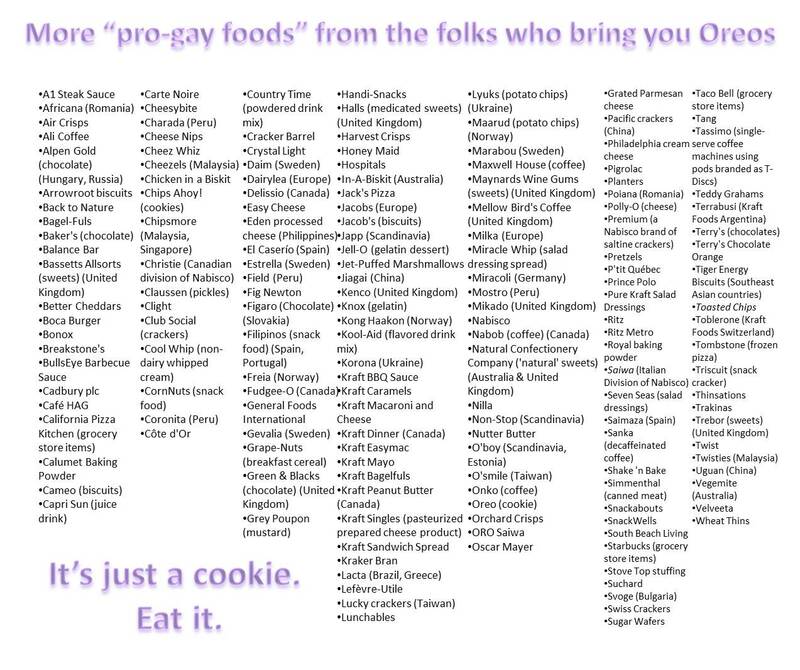 A lot of not-so-gay-friendly people didn't, apparently, and some of them publicly (and often ungrammatically) vowed to boycott the 100-year-old taste treat, its parent company Nabisco, and ITS parent company Kraft Foods. A few of the foods you'll be giving up. As a way of drumming up publicity, Oreo's rainbow cookie was a stroke of sweet, crunchy goodness. And if you want to boycott Oreo and its makers because you don't believe in teh gays, that is your right. I don't agree with you, but that doesn't matter. Because boycotts to make a point are a time-honored and perfectly acceptable thing. Which brings me to Chuck Norris. Thanks to TMZ.com for the awesome illustration. 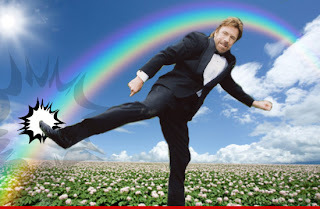 Chuck Norris - who is and long has been a proud and outspoken conservative - recently wrote an editorial for a website called AmmoLand.com in which he criticized Boy Scouts of America board member James Turley for vowing to "change from within" the anti-homosexual policies of the BSA. If you click on the link above and read the editorial, it's clear that the bulk of Mr. Norris' ire is aimed at the political ties between Mr. Turley and the "pro-gay" Obama administration, and that the current leadership of this country raises Chuck's hackles more than Mr. Turley's statement or homosexuality itself, for that matter. However, he does make a point of supporting what he calls the BSA's "First Amendment rights to stand against atheists, agnostics and homosexuals." I find this editorial disturbing. I don't like to think that someone as awesome in so many ways as Chuck Norris is using the First Amendment to justify bigotry and discrimination. I find it even more disturbing that at the end of the article, he uses the BSA as a jumping-off point to plug KickStart Kids, the martial-arts organization he and his wife founded. My own Precocious Daughter, as you may remember, is a proud member of KickStart Kids and recently got to meet and be touched by the beard of Chuck Norris himself. It's a great organization, and the Norrises seemed to be genuinely nice and sincere people. But he's come out in support of an anti-gay bias that he obviously believes in...and I, just as obviously, do not. If I were to take my cue from the Oreo haters, I would now pull PDaughter out of KickStart and organize a boycott of other parents. How can I support an organization that has gone on record as supporting a position that I not only don't agree with but find offensive? If I continue to affiliate myself and my family with KickStart Kids, am I silently endorsing the opinions of its founder? Truly, it is to derp. I think...I should start by thinking. I've always known that Chuck Norris is a right-wing stalwart. That didn't keep me from putting PDaughter in KickStart because she's learning karate, not political science. I can separate the man from his politics. Although that starts to sound like the "love the sinner, hate the sin" garbage that Christian conservatives use to justify gay-bashing in Jesus' name. Still, I can see the good that KickStart Kids does, and I can see that whatever Mr. Norris' politics, they play no part in how the organization is run. Just as I can see the good that Boy Scouts of America does, and that the men and women who participate in it overwhelmingly are good people who keep their politics - whatever they are - separate from their scouting activities. Oh my God it's almost as if this is a complex issue with no knee-jerk answers. nom nom nom Oreos nom. Bottom line: We have to respect one another's right to our opinions, even if they're like fingernails on a blackboard to us. Not agree with. Not support. Not change our own opinions to conform to anyone else's. But respect the boundaries that let us all coexist even though we're essentially a bunch of clueless jackasses who rub each other the wrong way at every possible opportunity. If Chuck Norris doesn't cross the line and start indoctrinating my kid in the ways of the Far Right, she can stay in his program. 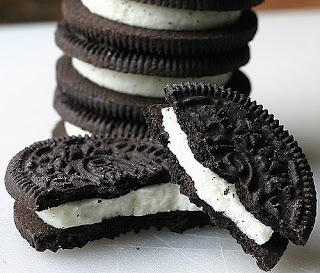 And as long as Oreos don't turn me into a lesbian, I'm OK with them, too. 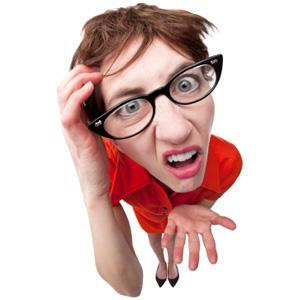 But I'll have to do extensive field-testing on that score to find out. Nom nom nom nom nom Oreos nom nom.